In this podcast Professor David Carpenter of King's College, University of London, looks at the life of Magna Carta during the reign of Henry III. 1. What happened after Magna Carta was sealed? 2. To what extent was it disseminated and who by? 3. How aware were people aware of what had taken place at Runnymede? 4. After the Pope annulled Magna Carta - how did the document itself survive? 5. What role did the Church play in the survival of Magna Carta? 6. Was it then disseminated after Henry IIIs minority government re-issued it? 7. Why did the minority government choose to re-issue Magna Carta? 8. Does this suggest that Magna Carta had already enter the 'popular' consciousness? 9. 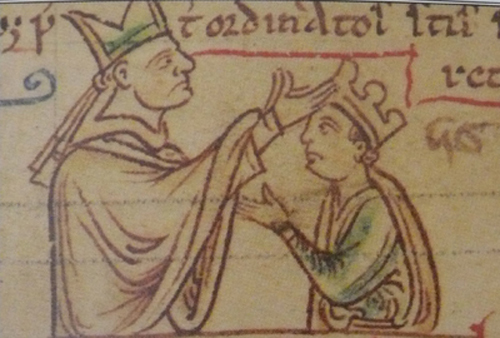 Did Magna Carta continue to play a part in Henry IIIs later reign? 10. How different or radical was Magna Carta?